afflicting children and adults alike. I am a licensed board certified psychotherapist regarded as intuitive, patient and kind. 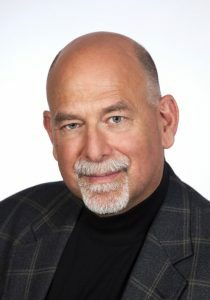 My diverse professional background in combination with my lifelong dedication to guiding others through emotional challenges has informed my unique empathetic approach to psychotherapy. I approach therapy with the belief that each person holds the solution to achieving their personal goals, however obscure or illusive those solutions may initially appear. My goal is to guide you on your path to clarity and self-awareness. In our sessions, I will assist you in confronting difficult topics in a comfortable and nonjudgmental environment. Often, the hardest step is deciding to seek therapy. However, once you have taken that first step, we will build trust and begin to achieve your goals. Whether you are looking to accept yourself without judgment, communicate better with others in your life or just better understand what you want, we can get you there together. My clients come from many different walks of life. Some are in high school and dealing with the pressures of adolescent transitions while others are adults and professionals assessing their current and/or next phases of life. They are individuals and couples, young and old. If you are an emerging adult, an adult, a couple or parent, we may be a good fit. As life becomes more complicated with the responsibilities of work and family, it is common to become overwhelmed and lose sight of priorities. Together, we can identify underlying issues and work toward regaining control over your life. Navigating young adulthood comes with a unique set of challenges. Parents’ expectations and youth expectations don’t always align. I can help you explore your path of self discovery as well as balancing exploring and achieving your needs and desires with the pressures of the external world. Together we can work toward actualizing your personal expectations in healthy ways. Relationships ebb and flow naturally. When we don’t feel heard by our partners, communication can break down and mutual happiness can feel far away. I can help you individually and together to find clarity, build communication skills and thereby repair the dynamics of your relationship. Parenting is not a science, and it can be intimidating. How can you meet your children where they are while maintaining your values and boundaries? I help parents find the balance between being consistent, strong parents and emotionally supportive allies and mentors. Gaming and cyber addictions are an alarming recent phenomena afflicting children and adults alike. Are they impulse disorders, pleasure seeking behaviors or escapism? There is widespread disagreement as to their underlying drives, but what is clear that these behaviors can greatly interfere with life. Psychological and physical symptoms often escalate if they are left unaddressed. Have you lost sight of your priorities? with your child, parent or spouse? navigating the transition from High school to college? Happiness is within your reach. further discuss your thoughts on pursuing therapy. Is It Ok For Me to Leave A Phone Message?